Metal is a magical material that can be stretched, compressed, bent, curved and twisted. 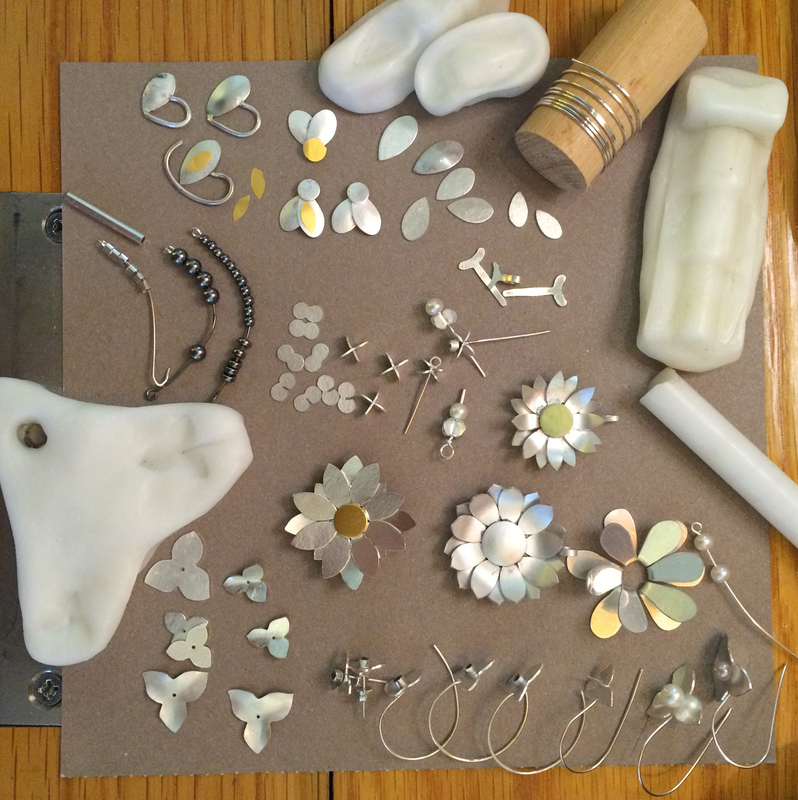 The same piece can take on an entirely different shape depending on how it is formed. This workshop will explore forming processes for metal sheet. 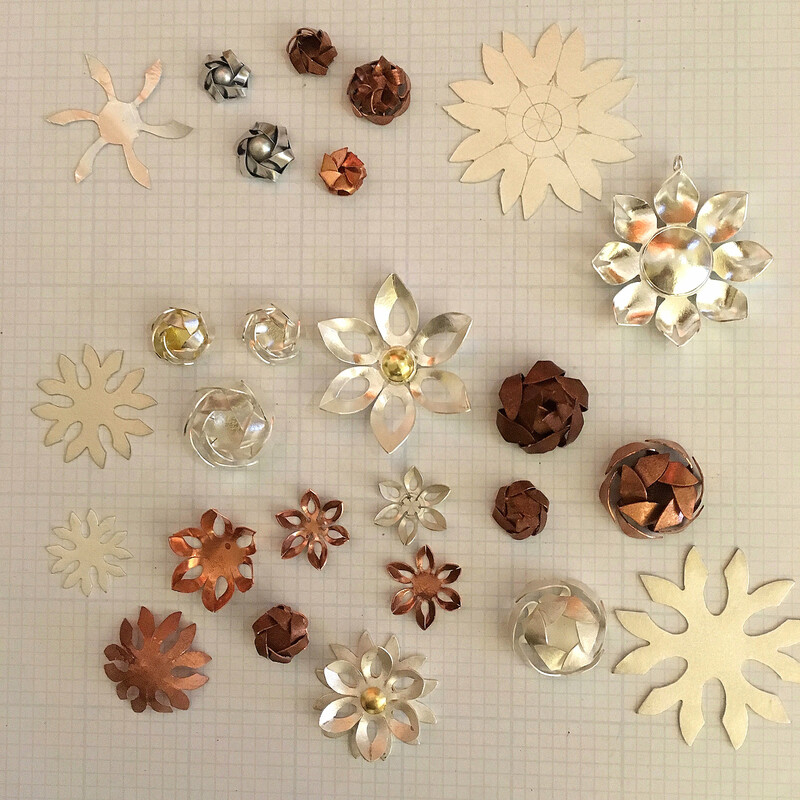 Cutting out pieces by hand requires a restrictive investment in time. 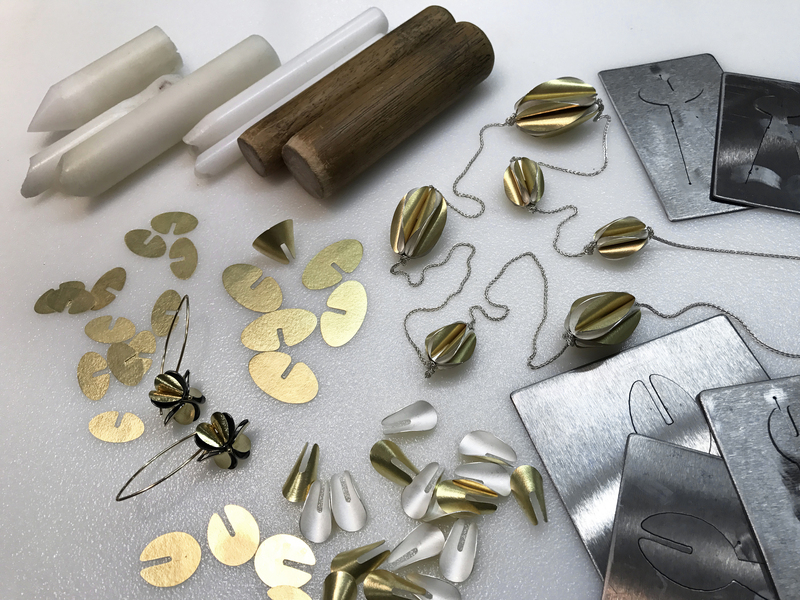 Using blanking dies will give you the ability to quickly cut out duplicates of your pieces giving you the freedom to get lost in the design process and experiment with forming and assembly. Working with your unique shapes will require making unique forming tools. Using wood, hard and thermal plastic and steel we will design tools that will give you consistent results. 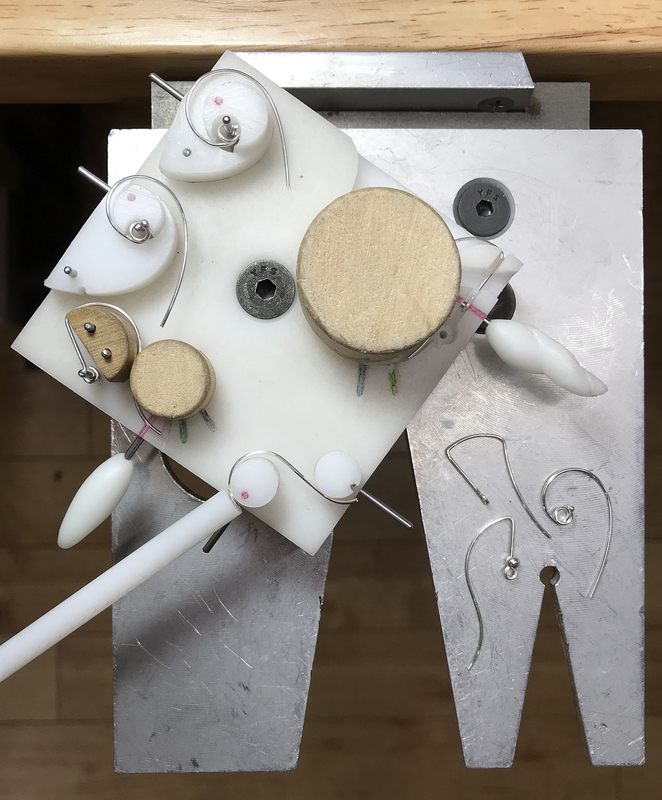 We will also work with ways to assemble multiple forms by soldering or using cold connections.